Do you know girls in your life who love to make things? For youth, it’s important to provide opportunities to learn and explore different subjects. The tech field is an important subject to discover. As we’re facing the 21st century, millions of children must learn how to speak the language of technology. Even if their parents and teachers don’t know it themselves, it is something that must happen. Girls That Make from Creation Crate fills this education void by offering a teacher-endorsed hands-on project curriculum that can be completed from home or in a classroom with other students. Every month you’ll receive a different project (bracelets, hats, bags, etc.) which teaches girls how to build circuits, program, and sew to create wearable technology. Women hold nearly half of all jobs in the United States, yet only 24% of STEM-related jobs belong to women. About 74% of young girls express interest in STEM ﬁelds (Science, Technology, Engineering, and Mathematics) and computer science. Unfortunately, young girls and women are just not being shown the right role models. That’s where Girls That Make comes in. Girls That Make launched in March 2018, and is available in one-, three-, six- or 12-month options, starting at $29.99 per month. What makes Creation Crate different from other kits? Creation Crate is the only approved tech kit from Stem.org which is the longest continually-operating, independent STEM-credentialing organization in America. They serve schools, districts, organizations and the world’s top brands in over 25 countries. The tech kits are the only one of its kind created using ISTE standards (International Society for Technology in Education). ISTE standards are technology education benchmarks for students and teachers in US school districts and STEM education programs throughout the US and globally. Fortunately, the tech kits from Creation Crate are the only ones with a progressive learning curriculum, from beginner to advanced. Creation Crate’s goal is to inspire students to get excited about technology and teach them these much-needed skills. The company hopes to reach 250,000 or more students with its curriculum, helping them become proficient in the language of technology and ready for the jobs of the future. Each kit gets progressively more challenging. Projects include building a Mood Lamp, Memory Game and Weather Station. 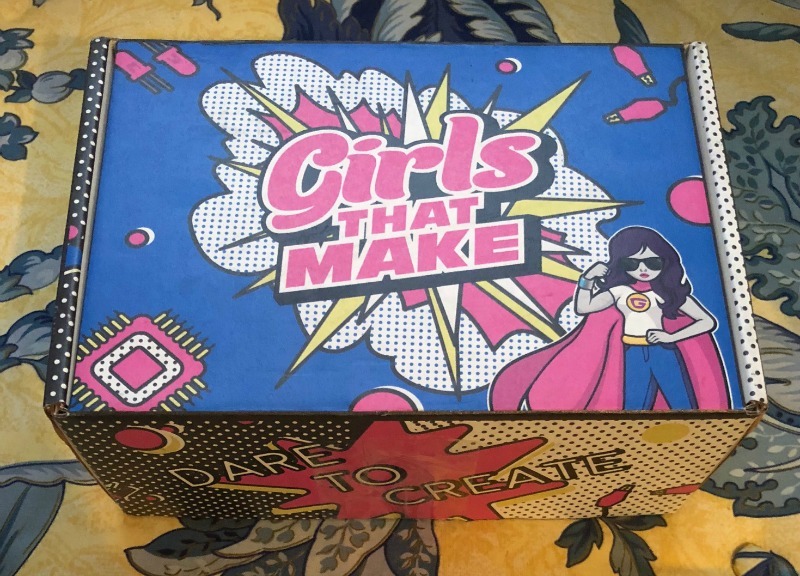 Creation Crate kits including Creation Crate Jr., Girls that Make, and Creation Crate kits are available for purchase on their website and can be shipped anywhere in the world for a $5 flat fee.